Genelia D'Souza also known as Harini is a popular Indian actress. She has acted over a dozen films in South Indian cinema. After being born in England, goa-based Genelia returned home to India to star in the multi-budgeted Boys by top director Shankar. She starred opposite fellow debutant Siddharth, the film was a box-office hit. This launched her career. She left Kollywood for a while to concentrate on the Tollywood industry, starring in other successful films including, Satyam, Masti, Samba and Sye. She followed it up with a pairing with popular actress Shriya in Subhash Chandra Bose. She returned to the Tamil industry with the hit, Sachein with Vijay. Her film, Happy opposite Allu Arjun was a hit. Her most recent film, Bommarillu, with Siddharth Narayan, is a super hit. It is the best role she got in her career, and received many praises for her acting. She has Chennai Kadhal in the pipelines for Kollywood . She was also a part of Mani Ratnam's stage show, Netru, Indru, Naalai. Genelia's 'Meow' quotient in 'Jaane Tu Ya Jaane Na' has made her the cynosure of all eyes. Her journey to fame started with commercials like 'Parker' pen with Amitabh Bachchan and 'Fair & Lovely' with Krishnamachari Srikanth. In the year 2003,Tamil director Shankar saw her in a commercial with Amitabh Bachchan and decided to cast her in the leading role of the Tamil version of his film 'Boys'. She started her career in 2003 with a bang by doing three movies namely, the Hindi movie 'Tujhe Meri Kasam'; the Tamil movie 'Boys'; the Telugu movie 'Satyam'. 'Tujhe Meri Kasam' was with actor Ritesh Deshmukh and the movie saw an average response while the movies 'Boys' and 'Satyam' were hits in their respective genres. Genelia, then did several blockbuster hits which made her very popular down South. She built up her popularity in the south by doing films like 'Samba' in 2004, 'Subhash Chandra Bose' and 'Sye' in 2005. She played the role of Haasini in the Telugu blockbuster, 'Bommarillu', which also starred Siddharth Narayan in the lead. This movie was one of the biggest hits in her career and earned her critical acclaim and wide recognition. She won the Filmfare Award as the Best Actress for her performance, besides other awards. Her character of Haasini earned rave reviews which made her the favorite choice for that role in the remakes of 'Bommarillu' in other languages. Her second role in Hindi film industry was with Riteish Deshmukh in 'Masti'. The year 2008 saw Genelia trying to pave her way into Bollywood in Priyadarshan's 'Mere Baap Pehle Aap' which got moderate reviews. Her final breakthrough in Bollywood was through the blockbuster, 'Jaane Tu Ya Jaane Na' where her role as unrestrained 'Meow' shined out. Her role has been widely admired for her sweetness, freshness, and her style of acting. 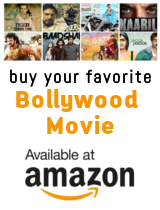 The movie has debutant Imran Khan, Aamir Khan's nephew, as the lead actor and the movie was a success in India and overseas. Her debut film in Kannada 'Satya in Love' grossed 4 crores in its opening week thus setting a new record in the Kannada film industry. Forthcoming movies in her kitty for the year 2009 are "It's My Life", a remake of 'Bommarillu' co starring Harman Baweja; "Life Partner" with Govinda; David Dhawan's "Hook Ya Crook" with John Abraham which is about cricket and the Telugu movie "Sasirekha Parinayam" with Tarun and is said to be on the lines of jab we met. She is now the Brand Ambassador of the new 'Fanta' replacing Rani Mukherjee and has also become the Brand Ambassador of chocolate 'Perk' where she has replaced Preity Zinta.